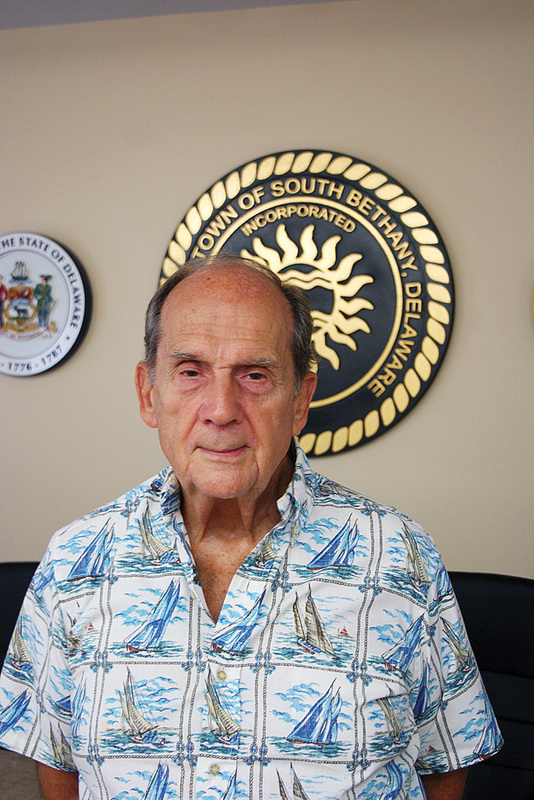 Gerald “Jerry” Masiello has joined the ranks of South Bethany Town Council. He was appointed Oct. 12 to fill a seat that Wayne Schrader vacated, for personal reasons, several months into his two-year term. Masiello will serve until the 2019 municipal election, at which time he and others can run to serve the remaining year of the term. Masiello had unanimous support from the other council members. “Town council is very fortunately that Jerry has volunteered his service. He’s got tremendous background, and just knowing him, he’s going to make a huge contribution,” said Councilman Don Boteler. Mayor Pro-Tem Sue Callaway mentioned a common acquaintance who had good things to say about Masiello’s nomination. “We’re all very pleased to be able to take this vote and have you join us,” Saxton said. Masiello is a fulltime resident on West 4th Street. He moved to the area permanently in 2007 and settled in South Bethany, he said, for the quiet serenity and good neighbors. A Boston native with a knack for languages, he attended the U.S. Army’s intelligence school, spent three years in Germany, “met a girl at the embassy” and from then on always kept a home in the Washington, D.C., area, where she was from. Masiello began a long career with the Bureau of Narcotics & Dangerous Drugs (BNDD) — the precursor to the Drug Enforcement Administration (DEA) — which took him up and down the East Coast for drug enforcement. After mandatory retirement in 1997, he worked in the language division a Fairfax, Va., IT firm until about 2004, doing work for government law-enforcement agencies, such as linguistic assistance on wiretaps. Hearing that council members were interested in him possibly filling the empty spot among them, Masiello submitted his resume the Wednesday before the Friday-night meeting. He said he knows most of the other council members in some capacity, so there shouldn’t be a “blending” problem. There had been indications of dissatisfaction from South Bethany police officers in 2017. As the town council was hiring an outside agency to review police pay, policies, procedures and possible inefficiencies in staff manuals, the six full-time officers (all except the chief) were submitting a demand letter, citing concerns with overtime, holiday pay, promotions and more. Over the winter, the town council rewrote the policy manual, changed compensation and benefits, changed the rank structure and more. “I don’t like the conflict that exists between the Town and the police. … We’ll see what happens. I may not even be assigned in that capacity,” Masiello said, although he said he’ll happily offer perspective. He said he can’t yet offer a solution until he has the full facts — not just rumor or innuendo. “I’m 100 percent pro-law-enforcement because of background and my moral beliefs. On the other hand, if I see something going awry with the police, I will always try to correct it so they’re in good standing with the community,” he said. Last year, Masiello vocally supported the now-completed police station repurposing project, which allowed the police to renovate the interior of their building. For instance, the “multipurpose” room was at that time inefficiently housing a changing room, kitchen and armory. The evidence area, dispatch room and detention bench needed to be separated, too. Water quality and canal maintenance also top his list of important issues to address, Masiello said. He also brings leadership skills from his time as a DEA agent and administrator who oversaw the investigations, allocation of resources, costs and personnel. As for public boards, Masiello served on the South Bethany Board of Adjustment, as well as past president of his homeowners’ association in Howard County, Md., and president of their pool association. Masiello said he believes in forward-looking leaders, not “management by crisis.” They shouldn’t presume to know everything, he said, but should consult with experts and consider everybody’s input. Constituents may contact Jerry Masiello via the Town Council contact information online at www.southbethany.org/index.php?content=15 or by calling Town Hall at (302) 539-3653, ext. 554.